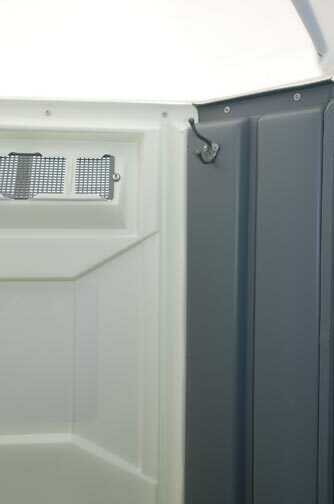 This New York portable shower rental is more similar to a private shower taken in your own home than any other public shower system available. 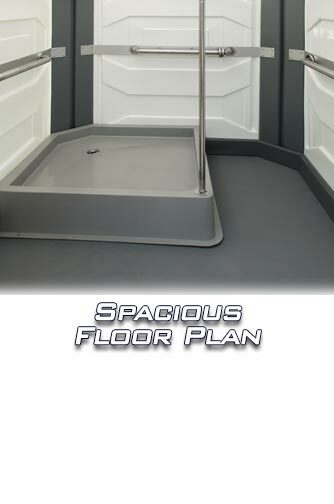 For safety, the portable shower has a non-slip floor and a superior drainage system so you won’t worry about water build up. 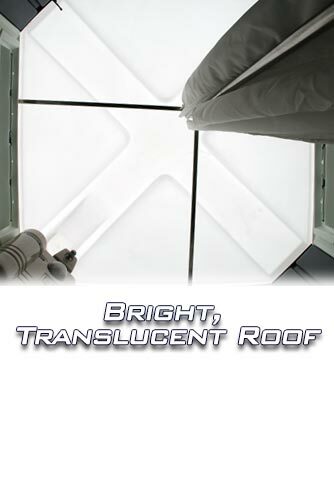 Its translucent roof will provide plenty of light for day and the outdoor portable shower’s interior light will even allow you to shower at night. 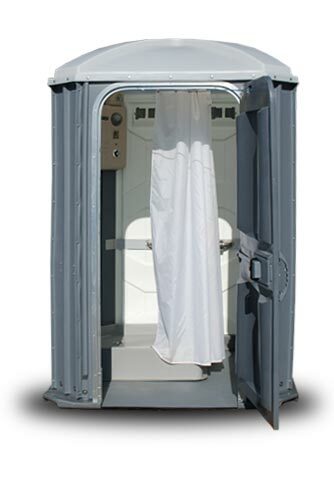 It is a portable shower that is better than showers in high end country clubs because you get a single enclosed shower that provides guaranteed privacy. 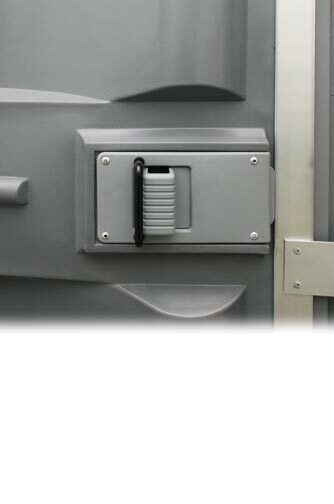 With a lockable door and occupancy indicator on the exterior door, users will feel secluded once inside. CALLAHEAD's SHOWERHEAD 25 out-door portable shower rental lets us deliver the luxury of a hot water portable shower wherever you desire. The SHOWERHEAD 25 outdoor portable shower has an extremely large interior so there is plenty of room to store bulky clothes and towels while still having the ability to maneuver freely when changing and showering. The SHOWERHEAD 25, like all of CALLAHEAD's equipment, is professionally delivered to your location in brand new condition. 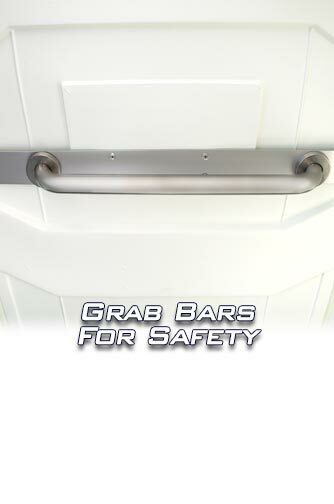 It is cleaned and sanitized with only hospital grade disinfectants by trained service technicians so you will see and feel that this portable shower is clean. 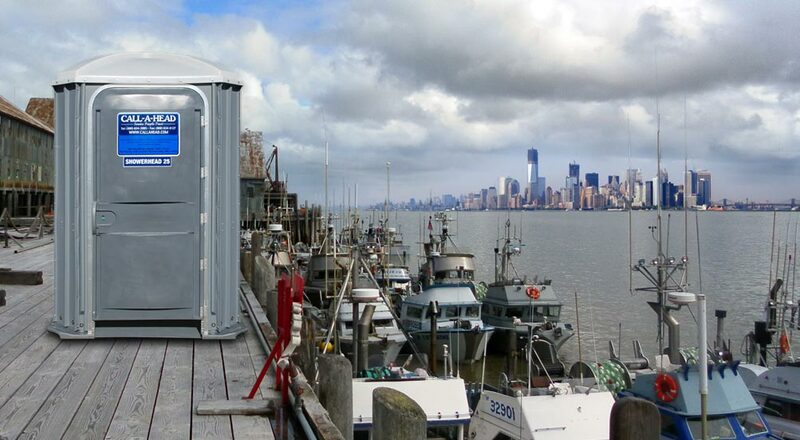 Portable shower rentals are in high demand throughout New York. 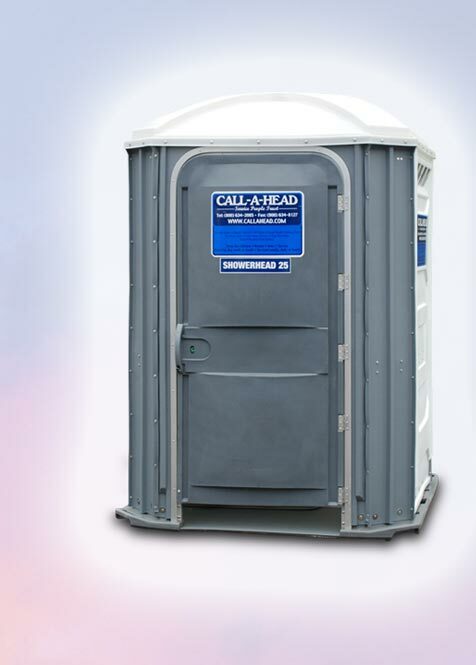 Whether it's a short term rental for a one day special event such as marathons and military boot camps, or long term rentals for construction sites, home and office bathroom remodeling jobs, or camp ground and park locations, CALLAHEAD's SHOWERHEAD 25 is the best New York outdoor portable shower rental on the market. The SHOWERHEAD 25 is a single, completely private, and extra-large portable shower rental that will provide a homelike showering experience. It has an enclosed showering area and shower curtain with a separate drying and dressing area so your clothing and personal items will stay dry while offering plenty of room for dressing. The best of all, the SHOWERHEAD 25 has both hot and cold running water so you can make your shower the perfect temperature for added luxury and comfort. The SHOWERHEAD 25 is an ideal shower rental for New York's emergency situations and disaster locations. Each hot water portable shower is delivered throughout New York fully stocked with full soap and shampoo dispensers at no extra cost. 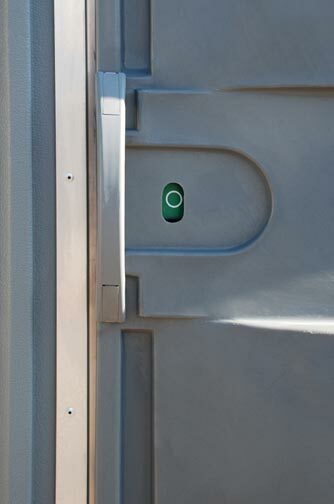 First responders and disaster victims will appreciate the opportunity to have a hot water portable shower available so they may clean away bacteria or other dangerous materials they may come in contact with during these crisis situations. Conveniently, the SHOWERHEAD 25 can be hooked up to a simple garden hose, pool or even sea water to provide as much water as you need. However, if there is no water available, the SHOWERHEAD 25 portable shower rental can be hooked up to one of CALLAHEAD's own fresh water holding tanks where we provide any location clean fresh water for refreshing showering experience. Construction workers will also be very appreciative having the SHOWERHEAD 25 at the jobsite. It allows for New York construction workers to clean off hazardous materials they come in contact with such as paints, cements, and other solvents that cause serious skin irritations and dermatitis. 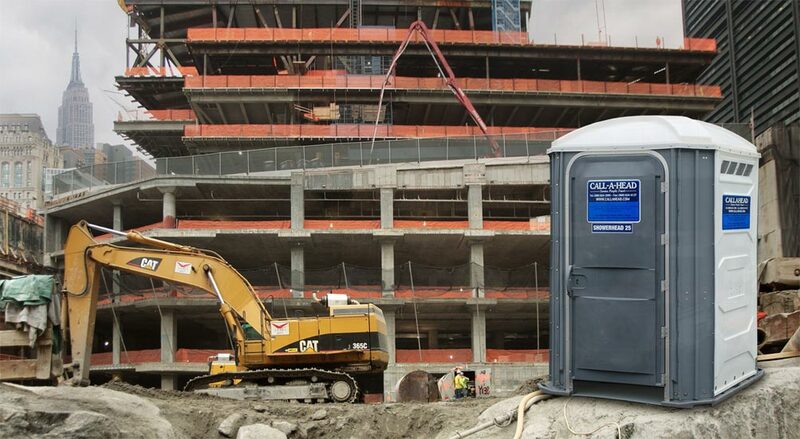 Construction workers will be grateful to have the SHOWERHEAD 25 New York portable shower at the jobsite to help eliminate these harmful skin irritations. 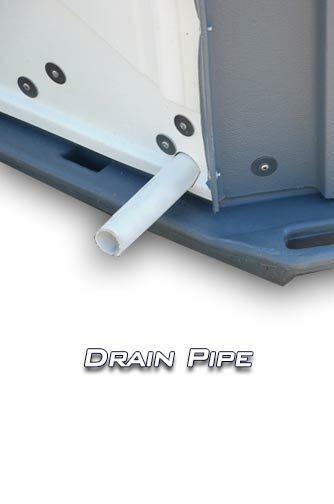 Imagine the ability to take a hot, warm or cold shower after the game or swim in the pool or ocean. CALLAHEAD's SHOWERHEAD 25 is commonly rented near pool and beach locations too. 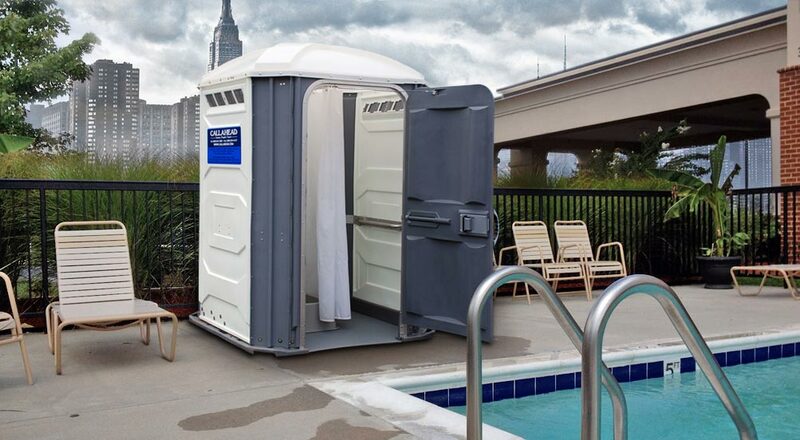 It provides New Yorkers the opportunity to take a refreshing shower after a long hot day at the beach. It is also idea for private backyards used as a private shower cabana to eliminate guests and family members from walking sand and dirt through your home. 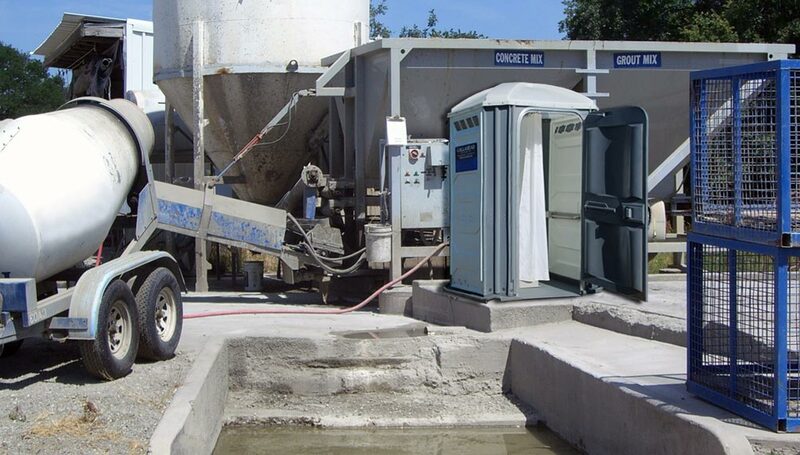 Since 1977 CALLAHEAD has been the leader in supplying portable sanitation equipment to New York City's five boroughs of Brooklyn, Manhattan, Queens, Bronx and Staten Island, all of Long Island's Nassau and Suffolk Counties, and all of Westchester County. 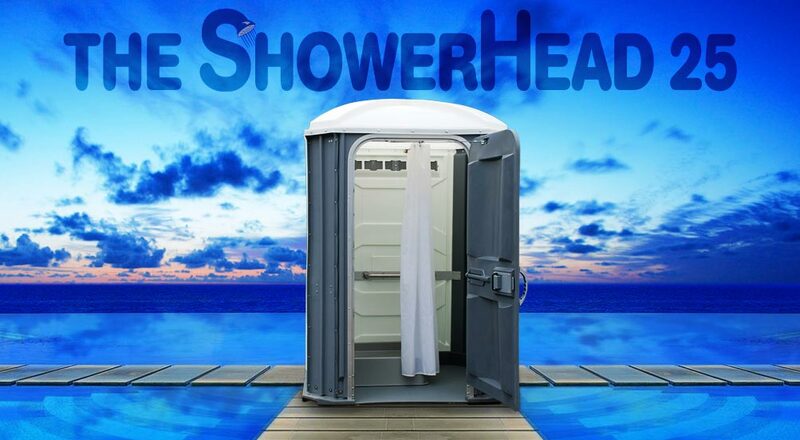 The SHOWERHEAD 25 portable shower rental will provide you the same quality and standard only CALLAHEAD can provide. 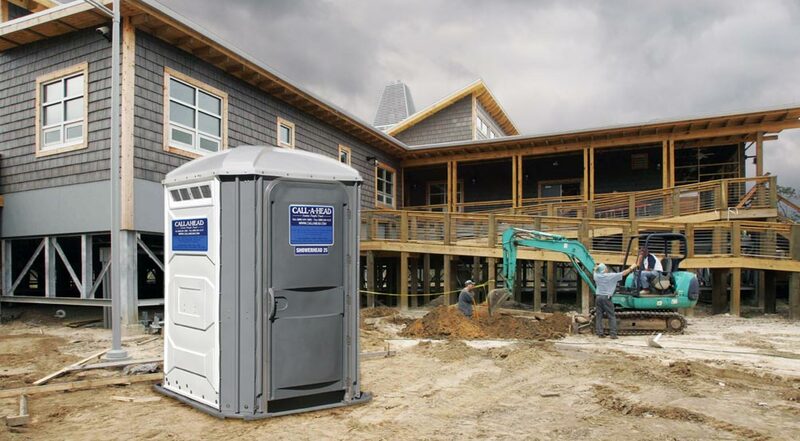 Professionalism, experience, and dedication to our customers are what make CALLAHEAD New York outdoor portable shower rentals the best showers available.